“The report of my death was an exaggeration,” said Mark Twain. 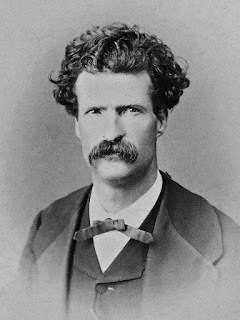 The situation Twain humorously alludes to became a frustrating reality for a New York Times journalist named Rachel Abrams , "Google Thinks I’m Dead (I know otherwise),” NYT, 12/16/17). Abrams found her biography confused with that of the "late wife of Elliot Abrams, who held prominent positions during the administrations of President Ronald Reagan and George W. Bush.” The article recounts a Kafkaesque journey into the juggernaut of a powerful search engine for which there's no court of last resort. Once you fall into the purgatory of the misinformation wasteland you run the risk of being a lost soul. Not fake news, but a case of a search engine going to the wrong stop. Of course everyone knows that inaccurate death notices can provide a practical function. Imagine your dentist or doctor posting an "in memoriam" salute on line in lieu of those robo calls reminding you of your upcoming appointment. However, in the process of doing a story about her predicament Abrams actually maintained the hope that her Times credential would get her somewhere. But it was a little like David and Goliath. As Abrams points out in her piece Google is owned by Alphabet which is worth hundreds of billions. The Times is a runt by comparison. One’s first response to being declared out of the ballgame might be that it’s not fair. After all once you’re no longer a player, you lose your place in the batting order. It’s hard enough being a journalist these days, but Google is capable of creating the feeling that you don’t exist into a reality.